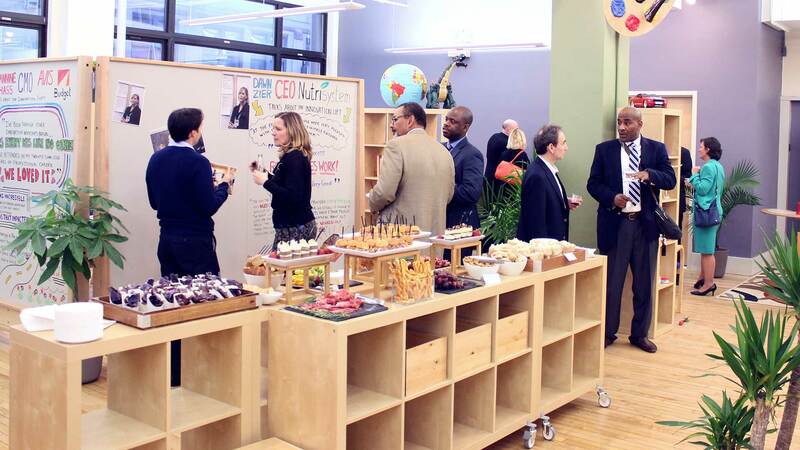 Innovation Loft - Offsite Meeting & Event Space in Manhattan | UNLEASH YOUR TEAM’S POTENTIAL! 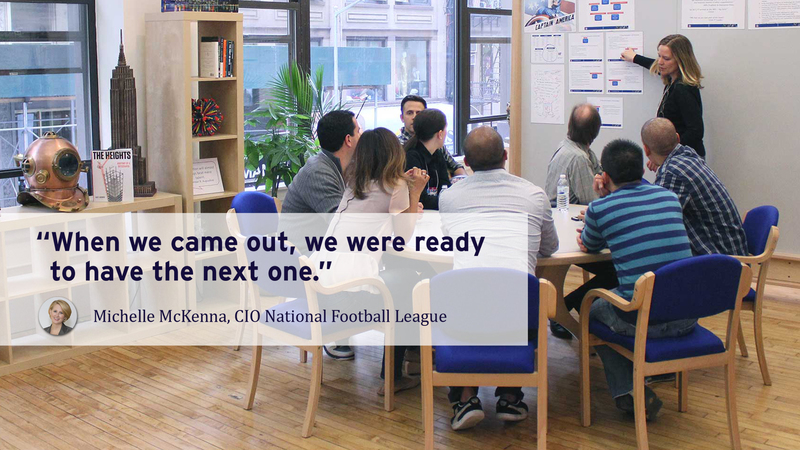 New York City's premier facility for corporate offsites, offering unique workshops to help teams address high value problems and strategic goals. 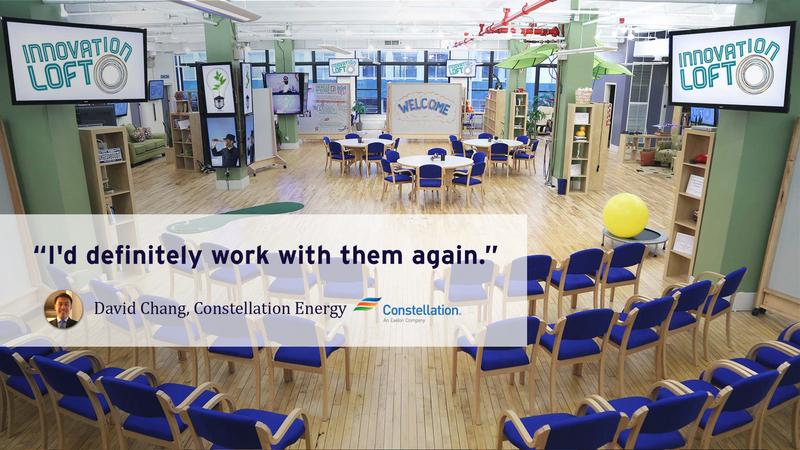 6,000 Sq Ft of flexible space in midtown Manhattan. A national coffee brand wants to expand their customer base and brainstorm on how to reach different markets. 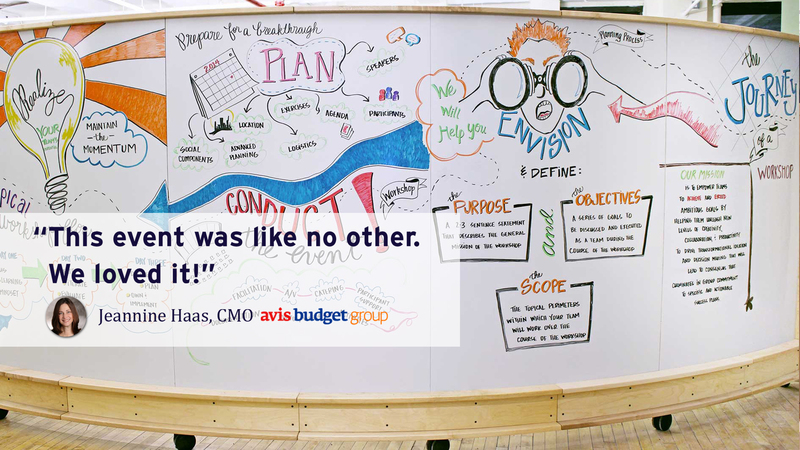 A 2-day session to brainstorm, collaborate and participate in custom-designed exercises. The national coffee brand quickly develops new strategies and leaves with a detailed plan for next steps. An educational resource company wants to learn the best way to get their content into an app. A 1-day session to review competitive best practices, consult with app development experts and to make key decisions about how they will create the app version of their product. With research time cut in half, the educational resource team leaves with a workable plan and the knowledge to move forward. 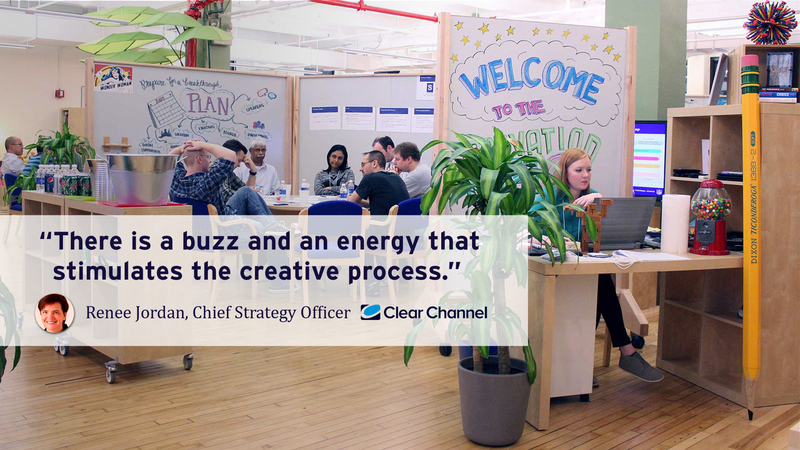 A leading arts & crafts company wants to start using social media to showcase their products. A 1-day session to learn about best practices, brainstorm applicable approaches and define an action plan to rapidly move forward. The leading arts & crafts company leaves with necessary knowledge to start, maintain and succeed on the most relevant social media platforms. An event marketing firm needs a new venue to host the annual summit for executives to discuss trends, forecasts and industry standards. 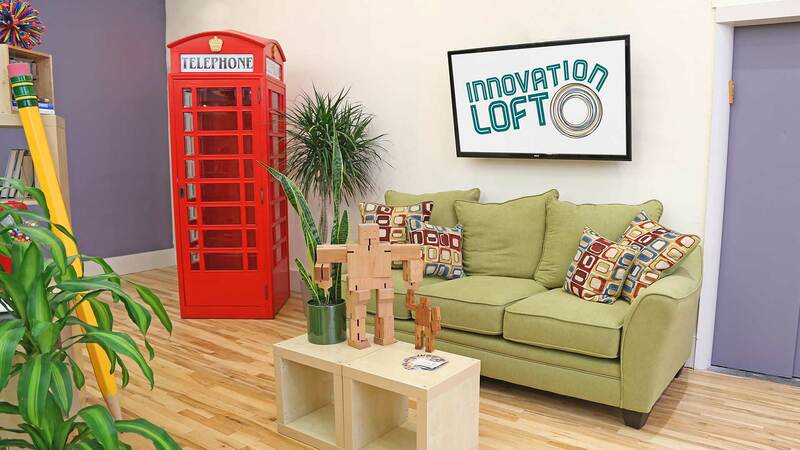 A 3-day session to take advantage of Innovation Loft's state-of-the-art facility, co-design by the Loft team to leverage innovation games and non-traditional interaction models. The stimulating environment and creative agenda results in increased audience engagement, networking, content quality and interest in attending future events. A boutique digital services company with offsite employees needs to do a website redesign in a short period of time. A 3-day session with a carefully crafted agenda that takes the team through the process of clarifying objectives, evaluating options, ideating new ideas, and then making decisions and developing a clear plan for success. The boutique digital services team leaves with a clear schedule of iterations to complete a design and build of their website in the allotted time. A financial services company is experiencing rapid expansion and the management teams wants to be sure the new employees are immersed in the company's culture. 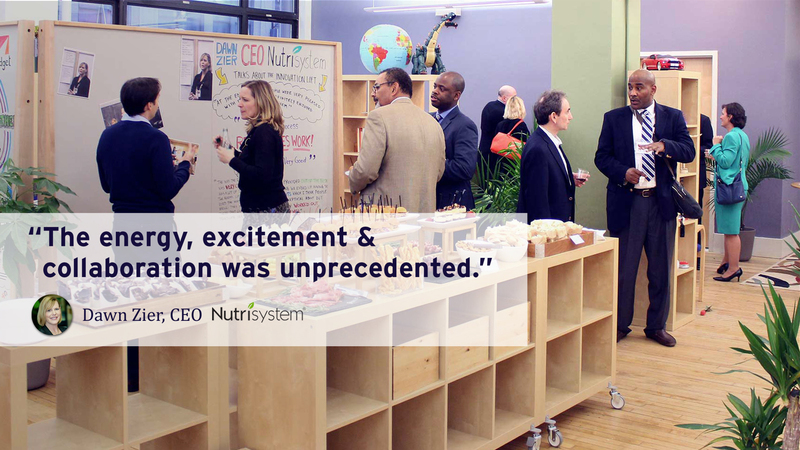 A 1-day session for the whole company to engage in custom-designed exercises that build team relationships and reinforce the company's standards and vision. 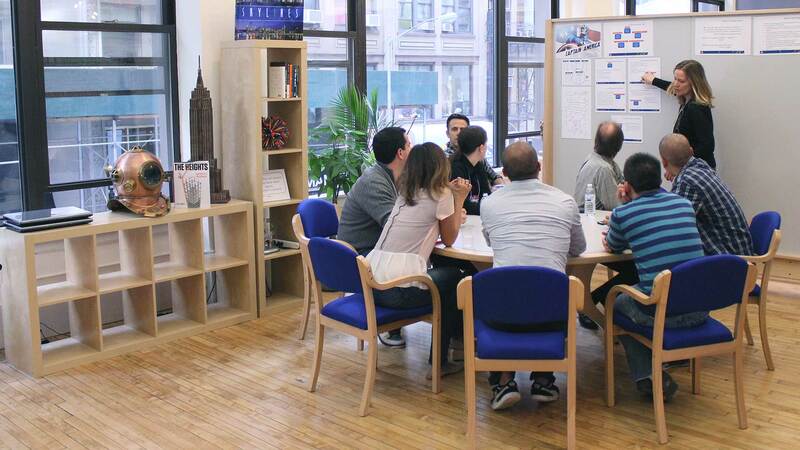 The financial services team returns to their offices with better communication and higher morale. Do you have a need that you don't see here? That's okay. We are ready to accommodate any need you have. Sign up for a FREE CONSULTATION to talk about your need with one of our representatives. 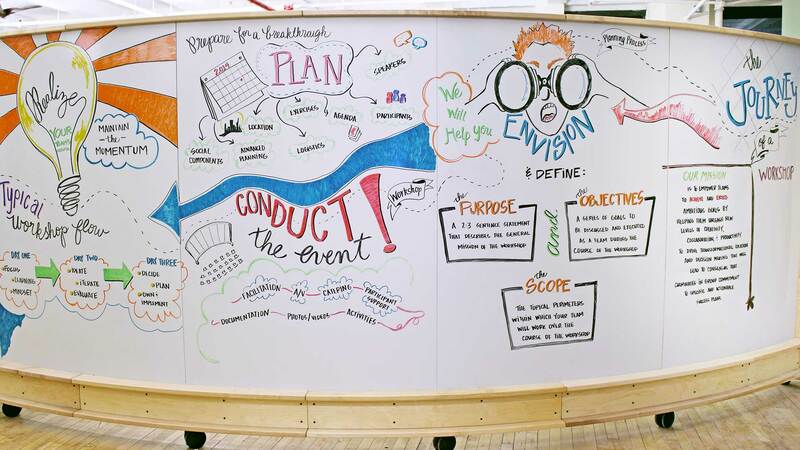 Magnetic whiteboards allow for maximum flexibility. Wireless networking throughout the facility. 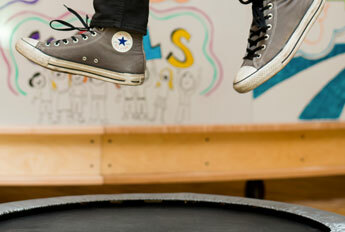 Trampolines and punching bags to get energy going. 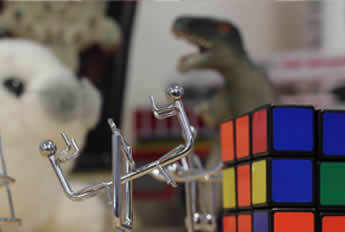 Toys and games to inspire creative thinking. Graphic documentation and transcription available. 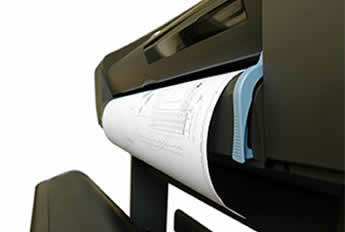 Copying and printing services on-site.